Heroes, Heroines, and History: The Fascinating Elgin Marbles and Giveaway! The Fascinating Elgin Marbles and Giveaway! The Elgin Marbles, also known as the Parthenon Sculptures currently reside in the British Museum. I've been studying the history behind the sculptures for more than a year now because they are intricately woven into England's Regency history, my favorite era to write about. Though some believe the sculptures need to be returned to Greece where they are said to have been stolen others insist that they were saved from extinction during a horrid war when Elgin took them from the Parthenon. Right or wrong the debate continues to this day between England and Greece. So why are they referred to as The Elgin Marbles? Ah, the plot thickens. 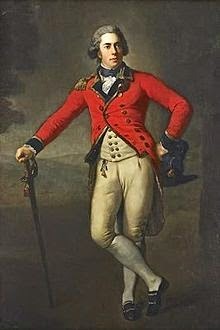 Thomas Bruce, 7th Earl of Elgin and 11th Earl of Kincardine by Anton Graff (around 1788). Greece was part of the Ottoman Empire in November of 1798. Thomas Bruce, the 7th Earl of Elgin was given a new responsiblilty, "Ambassador Extraordinary and Minister Plenipotentiary of His Britannic Majesty to the Sublime Porte of Selim III, Sultan of Ottoman Empire"
This was a post he wanted and pursued because of his love of art and the opportunity to have sketches, paintings, and moldings of Greek art copied while he and his wife Mary were in such an advantageous situation. However, one thing led to another and instead of copying the art Elgin had workers actually begin to dismantle the sculptures and friezes of the Pathenon. One witness to this abomination was Edward Dodwell, a traveler to the area. He states, "During my first tour of Greece, I had the inexpressible mortification of being present when the Parthenon was despoiled of its finest sculptures . 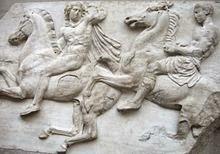 . . " Thus the Parthenon sculptures became known as the Elgin Marbles because he took them back to England among incredible controversy. And that's just the beginning of the story. 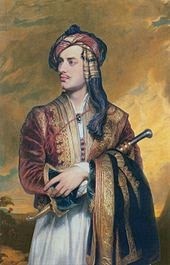 Lord Byron, the English poet who joined the Greek War of Independence fighting against the Ottoman Empire had his own perspective. By British hands, which it had best behoved To guard those relics ne'er to be restored. I'm pleased to giveaway a copy of my favorite instrumental CD titled, Renaissance, by Mark Schultz. Just leave a comment by midnight Pacific Time on Saturday November 8th and I'll announce a winner sometime Sunday on the 9th. 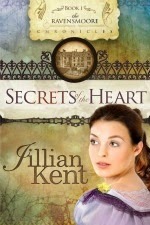 An early Thanksgiving appreciation for HHH fans and those who love to read Jillian Kent Books. If you are interested in pursuing your own studies I highly recommend reading, The Elgin Affair by Theodore Vrettos and The Elgin Marbles; Should they be returned to Greece? by Christopher Hitchens with essays by Robert Browning adn Graham Binns. 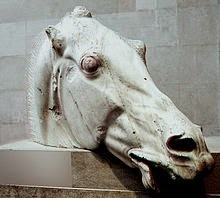 I did not know much about the Elgin Marbles, just snippets from the news. I'm not surprised you didn't know much. It's curiosity that caused me to dig deeper when I was doing research. And there's so much more! So interesting, Jillian. And that horse head! My goodness it looks so real. Loved your article. Thanks for sharing. Glad you enjoyed. It really is fascinating stuff. The sculpting of the Selene Horse is amazing. And he fought for Greece! I believe he died a year later (I think he was only 36) after he joined the fighting from malaria. He was born in Scotland and developed quite a dark repuation. That's putting it mildly. However, he's still considered a Greek national hero today. Enjoyed your article and love Mark! Glad you enjoyed. The CD by Mark Schultz was inspired when he and his wife toured Italy. How fascinating! Thank you for sharing this little known history. Britney Adams is the winner (per random. org) of my favorite instrumental CD titled, Renaissance, by Mark Schultz. Congratulations Britney. I'll be in touch and get that in the mail this week.